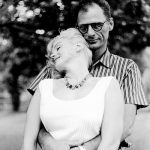 In the period following their first meeting in 1951, Marilyn and Arthur Miller didn’t see each other. 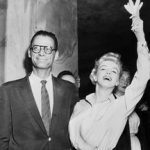 Miller returned to his family, while Marilyn went on to date and eventually marry Joe DiMaggio in 1954. The marriage shortlived, ending in divorce in October 1955. 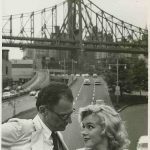 It was also in 1955 that Marilyn decided to move to New York and study in the Actors Studio, under the tutelege of founder Lee Strasberg. 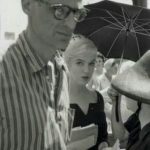 Whilst back on the East Coast and single again, Marilyn began seeing Miller. 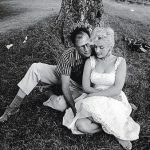 His marriage was floundering and the appearance of Marilyn did nothing to help matters.By all accounts the couple were besotted with each other. Marilyn began making Bus Stop in 1956 whilst Miller was in Reno awaiting his divorce from his first wife, Mary. Love letters written by the couple during this time were recently auctioned by Julien’s Auctions and showed the deep passion and love they shared for each other. 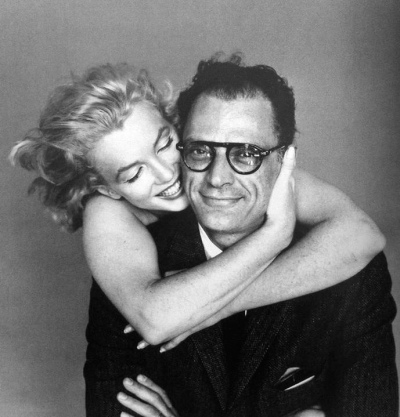 During the House Un-American Activities Committee (HUAC) investigation into Miller’s alleged communist ties, he announced his intention to marry Marilyn before going to London on business. Miller was granted his passport but was later charged with contempt by the HUAC when he refused to ‘name names’. Less than a week after his annoucement, the couple travelled to South Salem to obtain a marriage license, however, on their journey home they were chased by the press leading to a car accident in which journalist Princess Mara Scherbatoff was killed. At 7.30pm on that same day, June 29th, 1956 they were married in a civil ceremony at the Westchester County Courthouse. 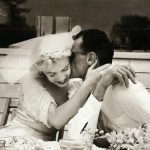 Marilyn officially converted to Judaism on July 1st, 1956 and later that day the couple were married in a traditional Jewish ceremony. 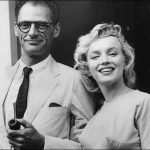 Following the completion of The Prince And The Showgirl in London, the Millers honeymooned in Jamaica in January 1957. Much of the rest of that year was spent between their New York City apartment and their house in Roxbury, Connecticut. They also spent time holidaying in Amagansett, Long Island. 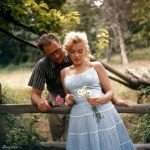 Marilyn was said to have enjoyed her break from Hollywood, tending to the garden and spending time with Miller. However, in August 1957, whilst gardening, she collapsed and was rushed to hospital suffering from an ectopic pregnancy. She underwent surgery and the loss of her baby was said to have sent her into a deep depression, leading to a suicide attempt which only failed when Miller intervened. 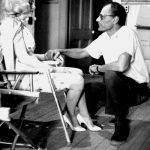 1958 began with Marilyn signing on to do Some Like It Hot. It has been said that she had concerns about the script, and only took the part when Miller convinced her to. 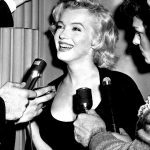 Marilyn attended for filming that July with reports circulating that she was pregnant again. The atmosphere on set was said to be fractious with Marilyn arriving late and demanding retakes. By the time the film wrapped in November it had become obvious that she was expecting a baby, though just a month later she was back in hospital suffering from another miscarriage. 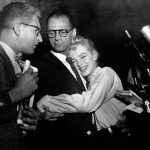 When leaving the hopsital Marilyn smiled for the cameras and fans gathered but, according to Miller, once alone, she cried the whole way home to Connecticut. 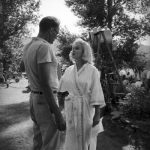 By the time filming had begun on Let’s Make Love in 1960, Marilyn was frequently calling in sick. 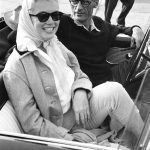 Miller had undertaken to write her the serious role she so desired – which became The Misfits – but had also taken to doing re-writes on her current movie, at her request. 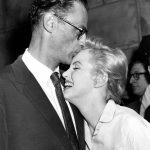 While he was in Ireland meeting with John Huston to discuss him directing The Misfits, Marilyn had an affair with her married co-star, Yves Montand. 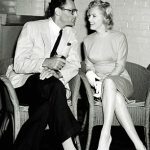 The affair was public and was said to have hurt Miller deeply but he chose to stay with Marilyn. 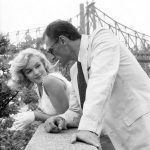 However, later that year, on the set of The Misfits, amid Huston’s gambling, Millers re-writes and Marilyn and Montgomery Clift’s ill-health – although there were moments of kindness – their marriage was irretrevably damaged and upon their return to New York that December, the couple split. 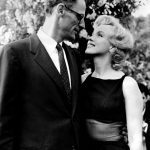 Marilyn filed for divorce from Miller in January 1961.